For the most part, I am pleased with my ability to speak extemporaneously. But I can vividly recall one less-than-stellar Table Topics experience. Several years ago, while visiting a toastmaster club in another community, I actually froze in the middle of a session. The theme of the evening was VROOM! VROOM! VROOM! The Table Topicmaster had prepared a series of pictures depicting different modes of transportation. Each participant was asked to select a picture and comment on how he/should would use the suggested mode of travel. Buses, planes, trains, all types of cars—these were the pictures that had been selected prior to my turn. I felt very relaxed and confident as I selected a picture from a large envelope. 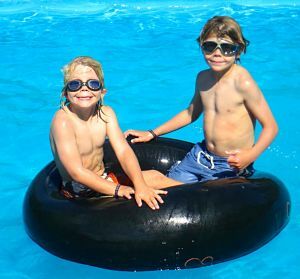 I had selected a picture of two young children sitting in an inner tube. At the time, the only word that came to mind was “raft” and I knew that wasn’t the correct term. Why I chose to focus on that aspect of the picture still remains a mystery. 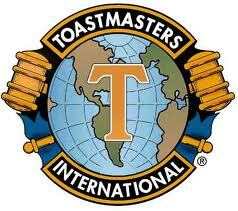 I did manage to speak for a short while, but it was far from my finest toastmaster hour. Afterward, I paid close attention to the remaining speakers. One toastmaster ignored the downhill skier in his picture and talked at length about the scenery and a recent trip to Banff, Alberta. I was impressed by his skillful use of bridging, a key strategy that belongs in every toastmaster’s toolkit. 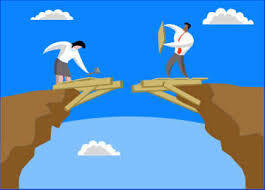 Bridging gets you from where you don’t know to what you do know through the figurative use of a bridge. In this case, the scenery allowed the toastmaster to talk at length about one of his favorite travel destinations. Another toastmaster shook her head at the extreme sport in her picture and said: “I would never consider traveling in this way. Instead, I will talk about traveling by train in Europe.” Hit with a topic that she didn’t like, this toastmaster chose reframing as her primary tool. This entry was posted in Table topics, Toastmasters and tagged bridging, Joanne Guidoccio, reframing. Bookmark the permalink.